Twin Cities Daily Photo: Which Photo Do You Prefer? It's amazing what a difference it can be taking photos and changing the height of the camera when shooting. The photo I posted on Friday and today were taken exactly in the same spot, one shot has the camera inches off of the ground, while the other has the camera about shoulder high. The difference in perspective is incredible. Which brings me to my question, which photo do you prefer? I like today's photo because of the tree blocking the sun. 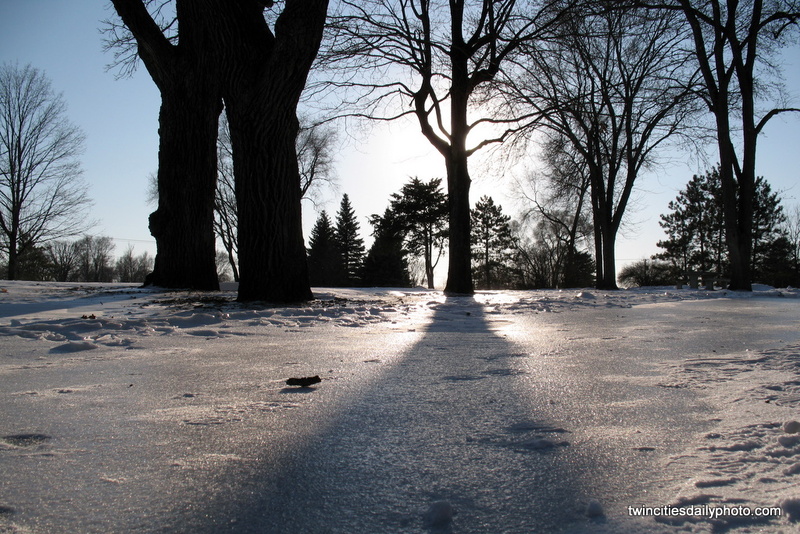 Though I also like last Friday's photo because of the glare of the sun off of the snow, which is what I was trying to capture in the first place. Both are fab photographs tho, no doubt. I like today's photo best.